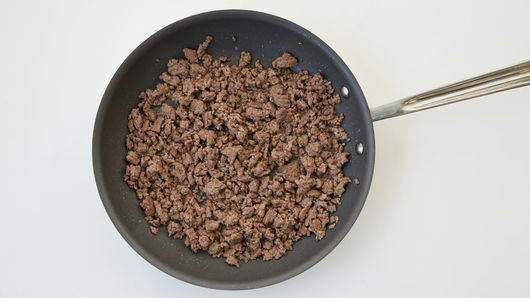 Reduce heat to medium. 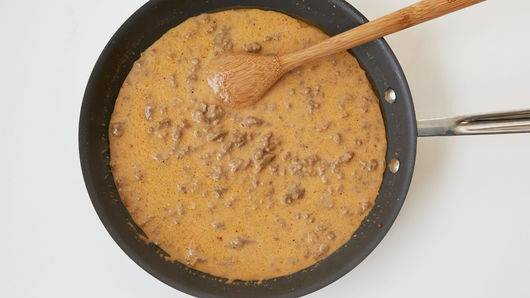 Stir grill seasoning, milk, cheese and ketchup into beef; continue stirring until cheese is melted and mixture is well blended. 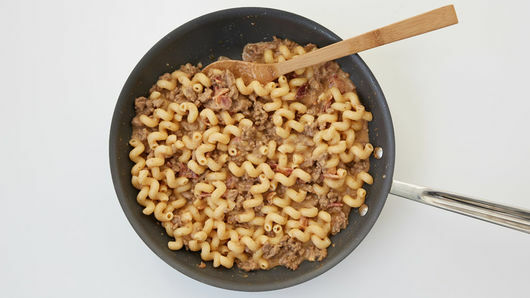 Stir in pasta and 4 slices crumbled bacon; cook until sauce thickens and mixture is heated through, stirring occasionally. Sprinkle with remaining 2 slices crumbled bacon and parsley. If you don’t have Montreal steak grill seasoning, you can substitute 1/2 teaspoon salt and 1/4 teaspoon pepper. 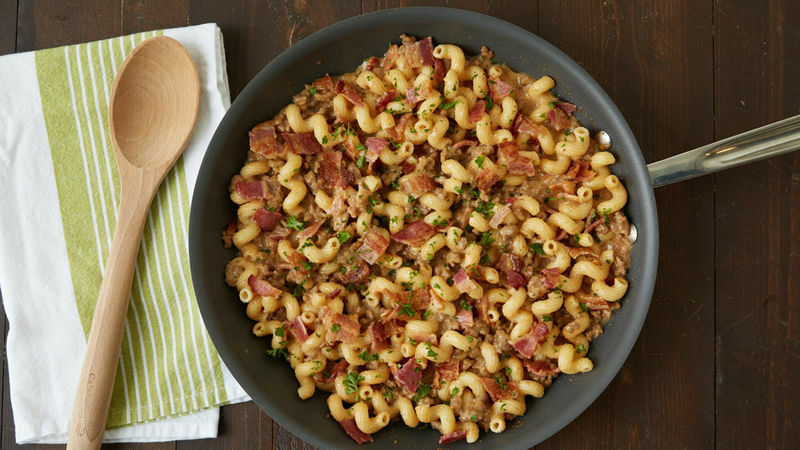 Change up the pasta to whatever you have on hand. Rotini, rotelle, wagon wheel or penne make good options.